You might think this GIF is all you need to know about the brilliant Mario Maker level Super Mario vs. Mecha Bowser, but there’s so much more. 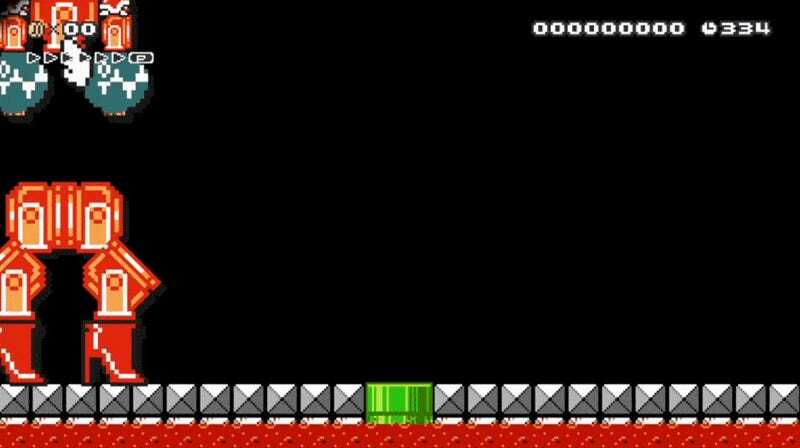 I finally got around to this stage during my Mario Maker Mornings series on YouTube, and while that initial “oh, crap!” moment as this monstrous creature slowly marches towards you is brilliant, it’s just one of many. It’s such a great stage, and you can bookmark the stage right here. Clever, funny, and a joy to play. I wonder how long until Nintendo deletes it?